On 16th and 17th November 2016, the Global Governance Institute (GGI) will organise the second INFOCORE Stakeholders Workshop and the INFOCORE Final Conference in Brussels. The two days event will be an opportunity to present and discuss the project achievements and key findings. The international collaborative research project INFOCORE starts on 1 January 2014 under the Seventh European Framework Program of the European Commission. 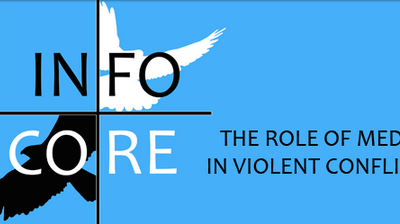 Comprised of nine research institutions in seven countries, this collaborative research project will investigate the role media play in violent conflict. The Programme of the INFOCORE Stakeholders Workshop is available HERE. 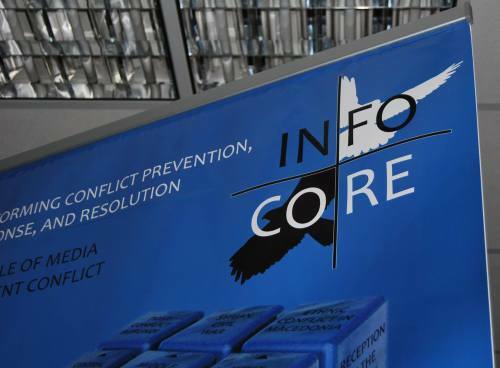 The Programme of the INFOCORE Final Conference is available HERE. To find out more about INFOCORE, check the project page, HERE.